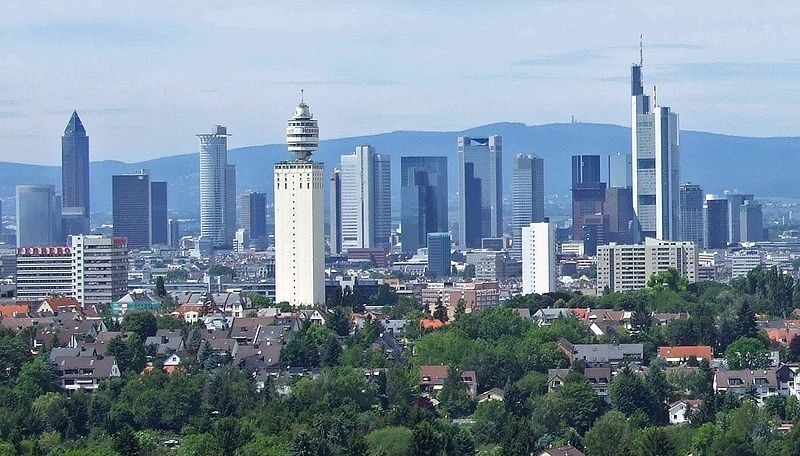 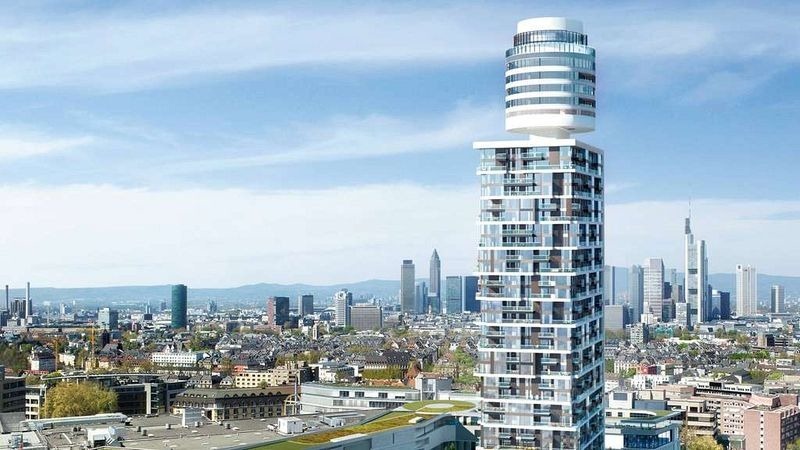 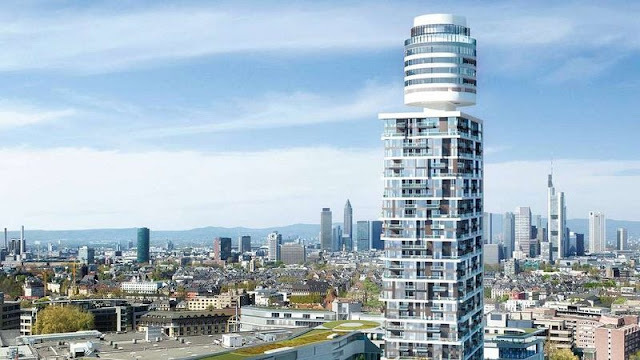 Henninger Turm or Henninger Tower in Frankfurt’s Sachsenhausen district was one of this area’s famous landmark, and part of the great skyline of this emerging financial district. It was designed by architect Karl Lieser, and built between 1959 and 1961 to serve as a grain storage silo for the Henninger brewery. 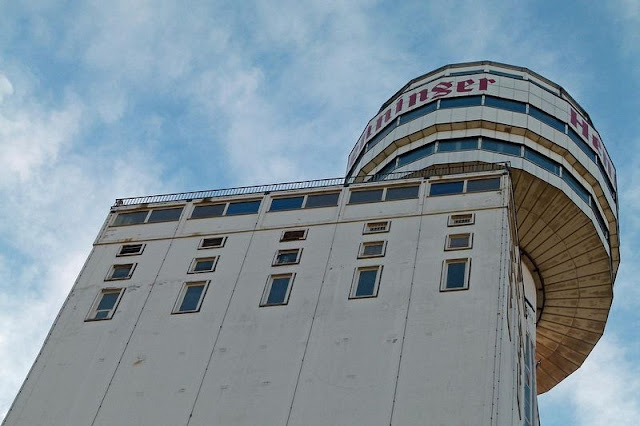 It rose to a height of 119 meters, equivalent to a 33-story building, and had a storage capacity of 16,000 tons of barley, making it the tallest storage silo in the world. 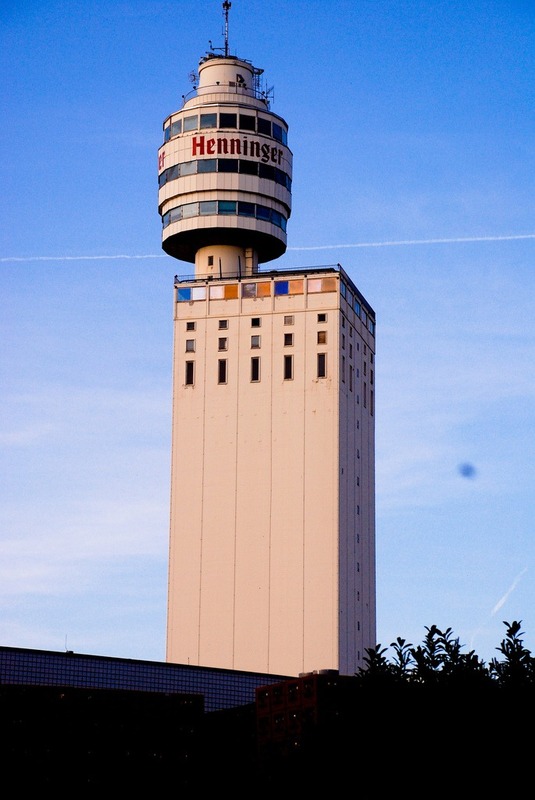 In fact, it was taller than any other building in the city until 1974. 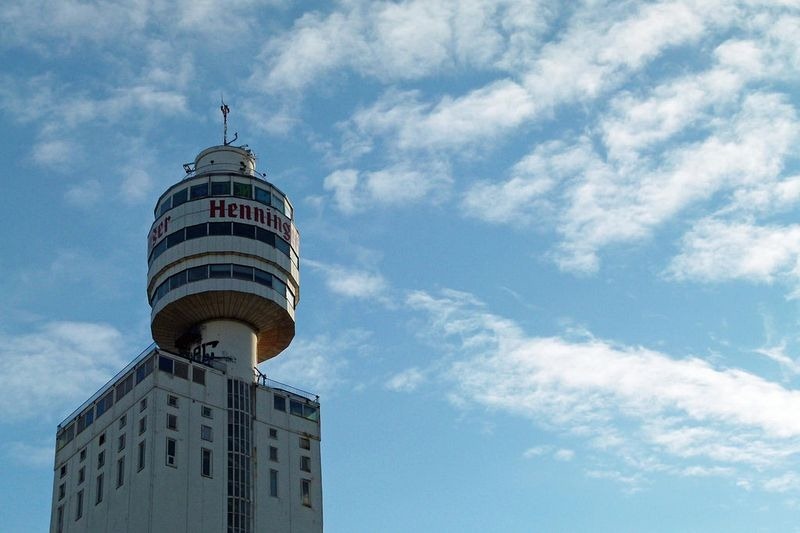 It’s also very likely that Henninger Turm was the only storage silo in the world with a revolving restaurant at the top.